Shamanism is the most ancient spirituality known to humankind. It is an earth-based spirituality that reveres everything, including our planet Earth, as alive in SPIRIT! In the Shamanic world-view, everything that exists is interrelated, interdependent and the health and survival of humanity and our planet is dependent on maintaining a relationship between Mother Earth and all of Nature Spirits. 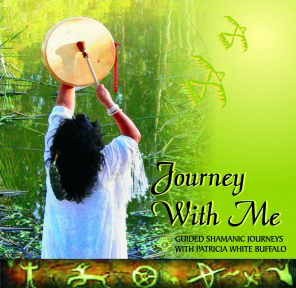 My Journey of 30 years has been that of Personal Healing and the path of Soul Remembering the ways of walking the Shamanic tradition of my ancestors, and integrating this with my professional training as a therapist, energy practitioner, teacher and musician . My work is dedicated to empowering others by guiding and teaching them to access the Shamanic Realm to gain a greater understanding of Shamanism’s benefits for personal and planetary healing, guidance, transformation, and evolution. My Work ~ Through my Private Practice, Sound Healing Events, Workshops and my Shamanic Programs, I offer my work in service of Awakening the Evolution of Humanity to its Magnificence — so we may truly realize Heaven on Earth. Blessings on your journey. 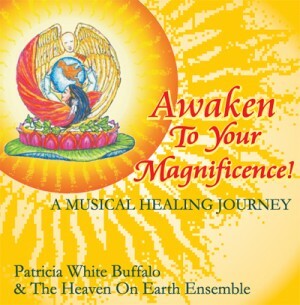 “I am very grateful to you Patricia White Buffalo (Guru Mama). My inner world and outer world are flourishing and abundant. My prayers and wishes are being answered and granted. Thank-you for your bravery in bringing your gifts to the world, to us, to me. Thank-you for making me see my inner light and those of others more brightly. Thank-you, thank-you, thank-you. * ICELAND New Program January 2019! * NEW MEXICO New Program May 2019! * FRANCE New Program June 2020! * CALIFORNIA New Program July 2020!